There is a progress in the negotiation process for the settlement of the Armenia-Azerbaijan Nagorno-Karabakh conflict. 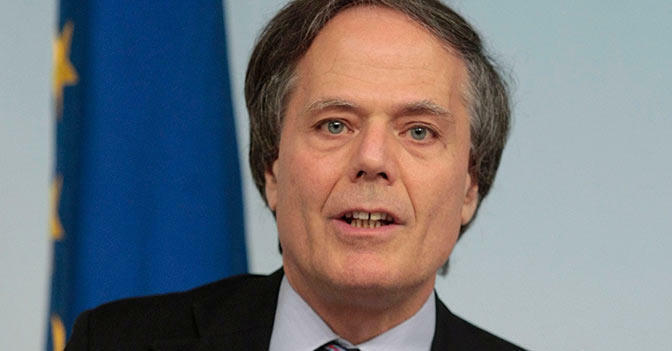 Italian Foreign Minister Enzo Moavero Milanesi made the remarks at a meeting of the Permanent Council of the OSCE, TASS reported. The minister noted that the progress of the negotiation process between Azerbaijan and Armenia on the settlement of the Nagorno-Karabakh conflict, despite the past elections in both countries, adding that the OSCE should be a platform for a constructive dialogue between the West and the East. “The idea of security used to be based on the principle of possessing and acquiring information, today security and the response to the challenges of our time depend on the exchange of information and cooperation,” the minister stressed. Since 1992, the Nagorno-Karabakh conflict has become predominantly a problem of international importance. After Azerbaijan became a member of the Conference for Security and Cooperation in Europe (CSCE), in accordance with the principles of this organization, the solution of the Nagorno-Karabakh conflict was in the focus of public participants. Soon it was established the OSCE Minsk Group for settlement of the conflict. Negotiations for a peaceful settlement of the Nagorno-Karabakh conflict are underway within the framework of the OSCE Minsk Group. Azerbaijan insists on maintaining its territorial integrity, Armenia defends the interests of the unrecognized Nagorno-Karabakh Republic and rejects implementing four UN Security Council resolutions on withdrawal of its armed forces from Nagorno-Karabakh and surrounding regions.